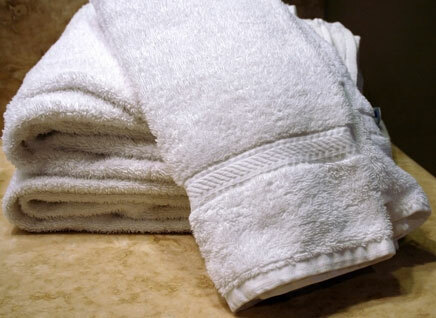 Our bath towels and bathrobes are made of single or double loop terry and match to your highest quality demands. They are characterized by a unique mellowness and are available in various qualities and models. To make the bath experience perfect, we supply a series of cosmetics made from argan oil. Our towels are produced in Europe. They are characterized by a pleasant and soft feeling on the skin, absorb water very well and are persistent. 320-1000 grams, different colors and sizes are available. Embossed or embroydered logo and label in your design is also possible. Our slippers are offered in numerous stylish colours, materials and forms. You can choose between terrycloth, velour, waffle pique, a closed or an open form, classic white or a broad colour range. For an individual note, embroidery, thermal transfer, labelling, or individual adaptations in colours are not a problem. Of course we as well provide models for children in cheerful colours and with beautiful motives.